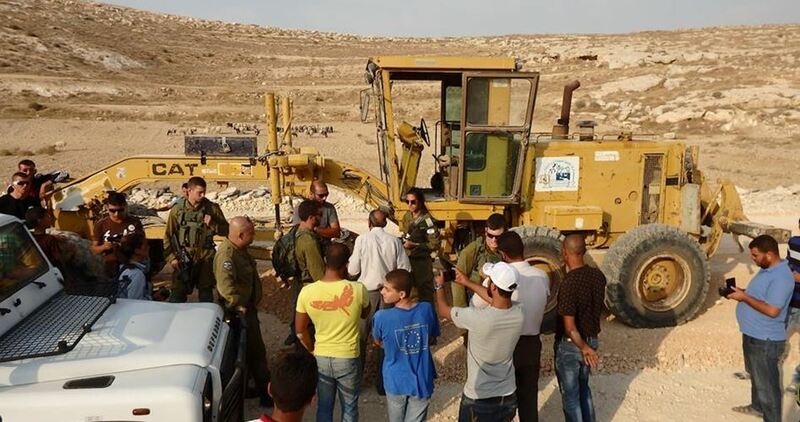 Israeli Occupation Forces (IOF) on Saturday stopped construction works in an agricultural road in al-Deir area in Jordan Valley and detained truck drivers for a while. 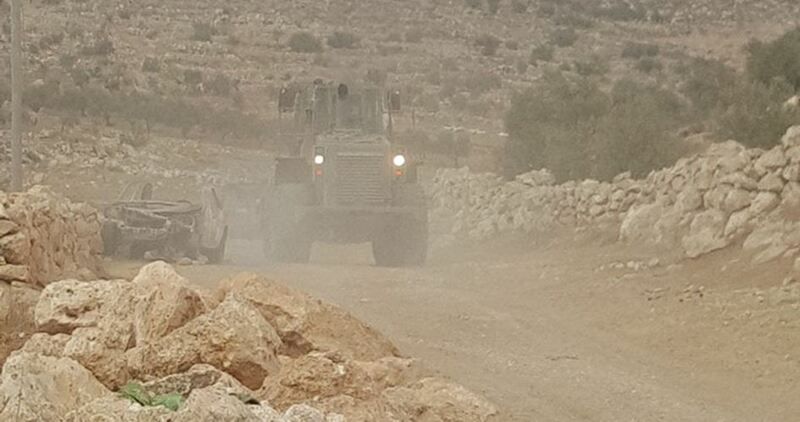 IOF soldiers also used dirt mounds to block another road that connects the towns of Beit Awwa and Deir Samet to the villages of al-Majd, Sikka, Beit al-Roush, Deir al-Asal and others in addition to other villages southwest of al-Khalil in the southern West Bank. This came one month after IOF troops had set up a metal gate on the main road that leads to Beit Awwa and other nearby towns causing daily traffic jams. 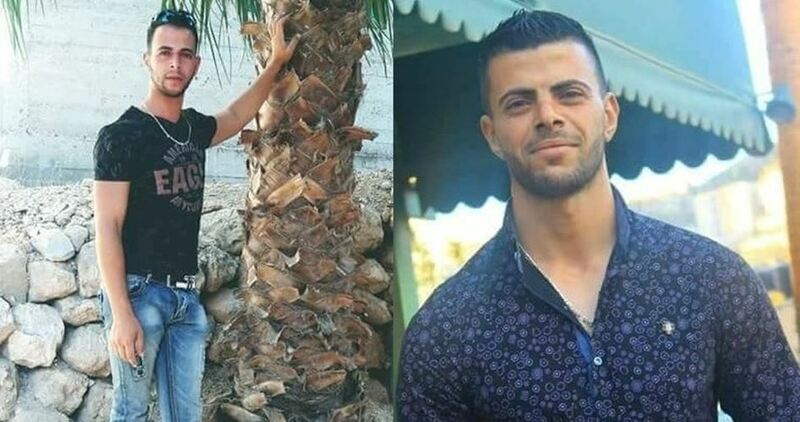 A 29-year-old Palestinian prisoner, Hassan Shokeh, announced starting an open hunger strike in protest at issuing a 6-month administrative detention order against him by Israeli Ofer military court. 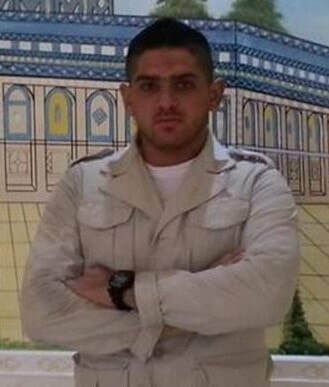 In a letter addressed to Muhjat al-Quds Foundation, Prisoners of Islamic Jihad in Ofer jail said that Israeli Prison Service (IPS) held detained Shokeh in solitary confinement immediately after he started a hunger strike last Wednesday. Captive Shokeh was repeatedly arrested by Israeli occupation forces for affiliation with the Islamic Jihad Movement. He was released late August and rearrested less than a month later. Israeli Occupation Forces (IOF) raided on Saturday morning Beit Awwa town to the west of al-Khalil city in the southern West Bank. The IOF soldiers rounded up Musab al-Sweiti, the son of Mahmoud al-Sweiti who is imprisoned in Israeli jails. The PIC reporter said that IOF soldiers broke into Sweiti’s home and searched it thoroughly before arresting Musab, who was then taken to an unknown destination. Several Palestinian child prisoners in Ofer prison revealed their experiences with torture and mistreatment to Palestinian lawyer Wael Awakah, including beatings and threats by Israeli occupation soldiers and interrogators from the moment of their arrest. 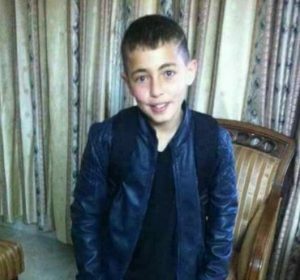 Awakah reported that Waleed Riyad al-Dali, 14 years old, a tenth-grade student and a resident of the village of Biddu in the Ramallah district, was seized on 28 September 2017 at 5:00 pm from the center of his village by undercover Israeli occupation soldiers disguised as Palestinians. He was assaulted and beaten by the soldiers, punched in the head and left bloody by their attack. Waleed was then taken to a settlement while shackled and blindfolded in a military jeep. He reported being beaten by the soldiers rifle butts and kicked by them during the travel to the settlement. At the settlement military base, Waleed was interrogated; the interrogator threatened to break his hands, refused him food and directed curses and obscene insults at him. Yazid Akram Humaidan, 15, also a resident of Biddu, was also seized on 28 September from the center of town by undercover Israeli occupation soldiers, who threw him to the ground, punched and slapped him. Yazid said that one of the undercover occupation soldiers stomped on his neck so hard that he feared for his life as he was beaten on the head and face with sharp blows. Yazid also said that he was screamed at and cursed by interrogators at a nearby settlement and that he was physically weak and tired during interrogation as he had had surgery only two months before. 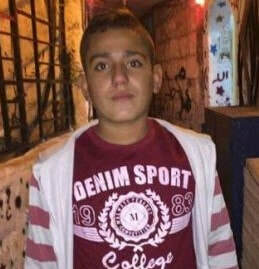 Hamada Jamal Abu Eid, 16, was also seized by occupation forces operating undercover in Biddu on 28 September. He said that one put a gun to his head before shooting in the air, causing him to fall to the ground where he was beaten on the body and head. He said that he was hit and slapped while being taken to interrogation at a nearby settlement, and that during interrogation himself he was subject to insults and curses. Awakah said that Hamada continued to appear tired and ill during the interview, with severe and ongoing pain in his head. The three are among approximately 300 Palestinian children held in Israeli jails, mostly in Ofer and Megiddo prison, as well as 10 minor girls held in HaSharon prison. In addition, the practice of sending children – especially Jerusalemite children – to house imprisonment, highlighted in the September 2017 report of Palestinian prisoners’ human rights associations, has continued. House imprisonment denies children the right to leave their homes, even for study or medical treatment in many cases, and forces parents and adults around them to become jailers at the threat of further punishment and imprisonment. On 12 October, Jerusalemite teen Bilal Khalil Ghatit was ordered to home imprisonment with the imposition of an “electronic monitoring bracelet” on his ankle. He has already been held under house imprisonment since May, and has been unable to leave his home, go to school or visit relatives. His parents have also become prisoners; one of them must stay at home with him at all times. Bilal was seized in April 2017 by occupation forces who invaded the family home in the Sheikh Jarrah neighborhood of Jerusalem; he was released in May but ordered to house arrest. A ninth-grade student, he has been denied the ability to go to school. Bilal’s father reported that he pays NIS 180 ($55 USD) for the electronic monitoring device; in the event of any malfunction of the device or even a loss of electricity in the home, the house is subject to violent raids by occupation forces, he noted, recalling the day of Bilal’s arrest, when his room was invaded as he slept and his brother beaten when he tried to intervene. Another Palestinian child, Adam Hamdan, 14 from Ras al-Amud neighborhood of Silwan in Jerusalem, was also ordered to house imprisonment on 12 October; he was arrested on Tuesday, 10 October as he walked to school and accused of “throwing stones,” one of the most popular charges used by the Israeli occupation to criminalize and imprison Palestinian children and youth. Samidoun Palestinian Prisoner Solidarity Network denounces the ongoing imprisonment, torture, mistreatment and abuse of Palestinian children at a systematic level by the Israeli occupation. We demand the immediate release of all Palestinian child prisoners in Israeli jails and urge greater international mobilization to support the hundreds of Palestinian children who are jailed each year, subject to solitary confinement and cruel and inhumane treatment, traumatic pre-dawn violent arrest raids and invasions of their homes, confiscation of their right to health and education – all as part of a systematic web of oppression at the hands of the Israeli settler colonial project. 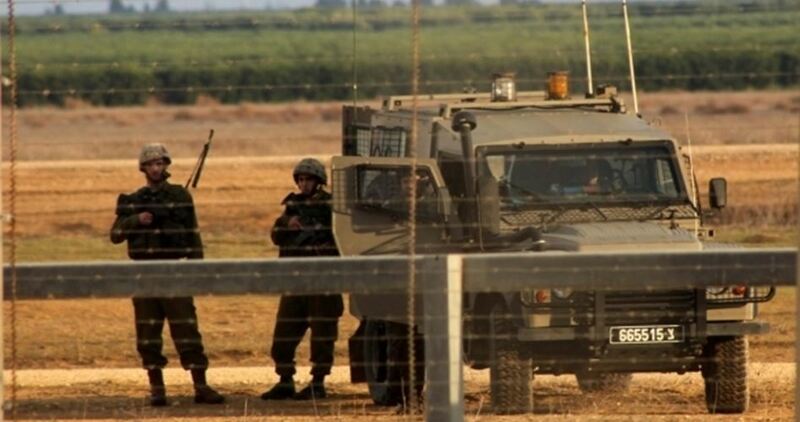 The Israeli occupation army on Saturday morning said its soldiers arrested two Palestinians after they crossed the perimeter fence in the southern area of the Gaza Strip. According to Yedioth Ahronoth, two Gazan young men were caught by border soldiers after they infiltrated into an Israeli military territory to the south of Gaza. The soldiers searched the detainees and found no weapons with them before transferring them to an interrogation center. Eyewitnesses said that an Israeli military force rushed to an area near the Sufa border crossing and demanded the young men through a loudspeaker to stop and surrender themselves before rounding them up and taking them to an unknown place. 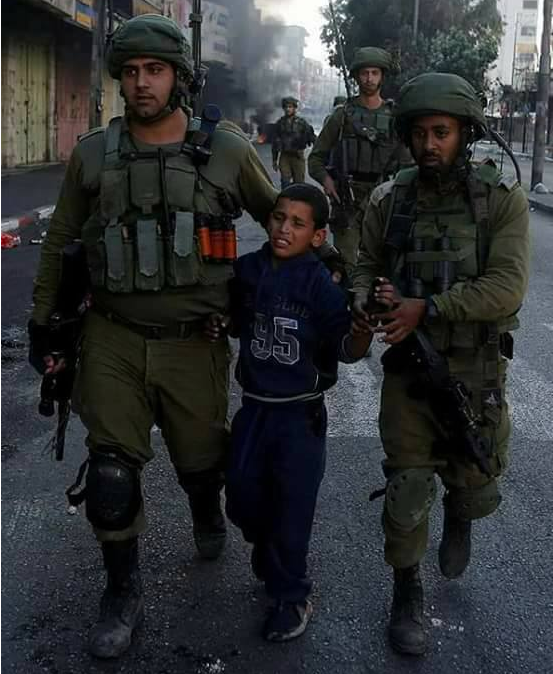 The Israeli Occupation Forces (IOF) arrested Friday afternoon 16 Palestinian minors as clashes broke out in the southern West Bank province of al-Khalil. According to the PIC reporter, 16 Palestinian juveniles were rounded up when clashes erupted in Bab al-Zawiya area in the Old City of al-Khalil. The confrontation erupted after heavily-armed IOF soldiers stormed the area amid excessive use of teargas bombs. Many children suffered breathing problems during the raid, while 16 others were detained and dragged to unknown destination. An official source in the Palestinian liaison office affirmed that the minor detainees were released shortly after their arrest. 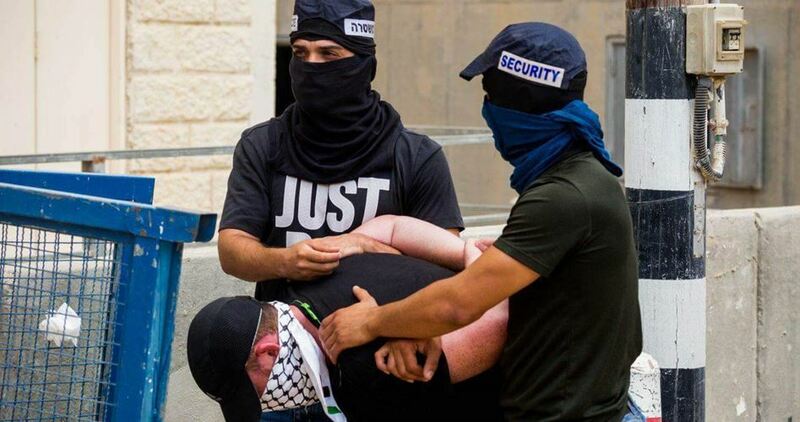 Israeli soldiers abducted, Friday, a young Palestinian man, from Beit Ummar town, north of the southern West Bank city of Hebron, and threatened to confiscate mosque speakers, south of Hebron. 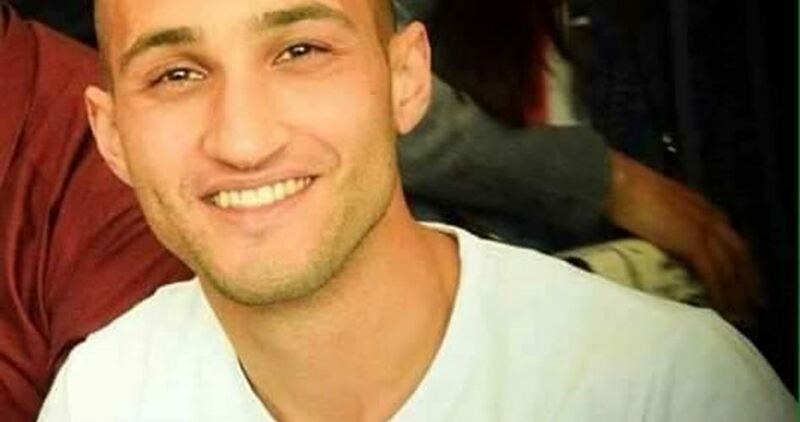 The soldiers installed a sudden military roadblock, near the central West Bank city of Ramallah, stopped and searched dozens of cars, and abducted a young man, identified as Ala Mahmoud Sleibi, 26, from Beit Ummar. In addition, the soldiers invaded Masafer Yatta area, south of Hebron, and handed the sheikh of al-Litwani mosque, an order to stop using the mosque’s speakers when calling for prayers, and threatened to invade the holy site and confiscated the speakers. The Israeli occupation authorities renewed the administrative sentence of a Palestinian detainee with neither charge nor trial. Israel’s Ofer military court sentenced 25-year-old Ismail Faraj to a renewed six-month administrative term under the security file pretext. The Israeli military prosecution claimed that the detainee, affiliated with the Popular Front for the Liberation of Palestine, poses security threats in the region. Lawyer Mahmoud Hassen, from Addameer Prisoner Support and Human Rights Association, has proceeded with an appeal over the court rule. Faraj, a university student, was kidnapped by the Israeli occupation forces from his home in Doha town on April 23. The Israeli occupation authority (IOA) on Friday released Palestinian lawmaker Mohamed al-Tal after he spent seven months in Ofer jail because of his affiliation with the Hamas Movement. MP Tal had been detained five times since 2006, and spent a total of 11 years in Israeli jails, half of them in administrative detention. After his detention on March 21, 2017, an Israeli military court issued an administrative detention order against him for four months, but later the Shin Bet filed an indictment against him, accusing him of being involved in hostile activities against Israel. As a result, the Ofer court sentenced him to seven months in jail and fined him 4,000 shekels, and he was released today after completed his term. He was supposed to leave the jail on Thursday, but his jailers delayed his release until today at the pretext of a Jewish holiday. 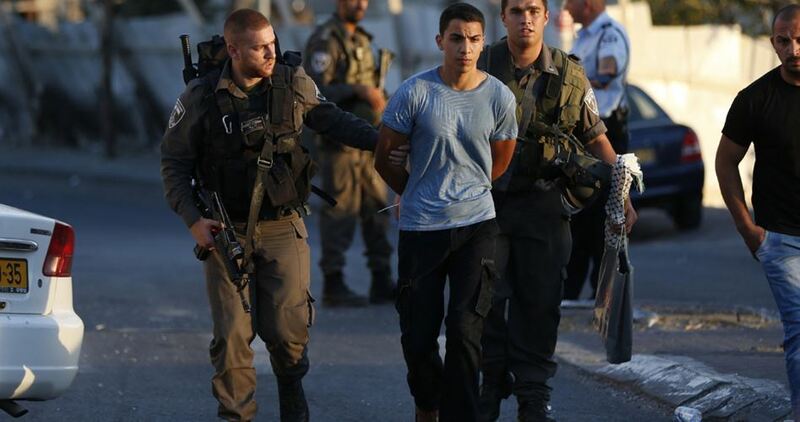 sraeli Occupation Forces (IOF) arrested on Friday evening five Palestinian juveniles in Bab al-Zawiya area in the Old City of al-Khalil in the southern West Bank. 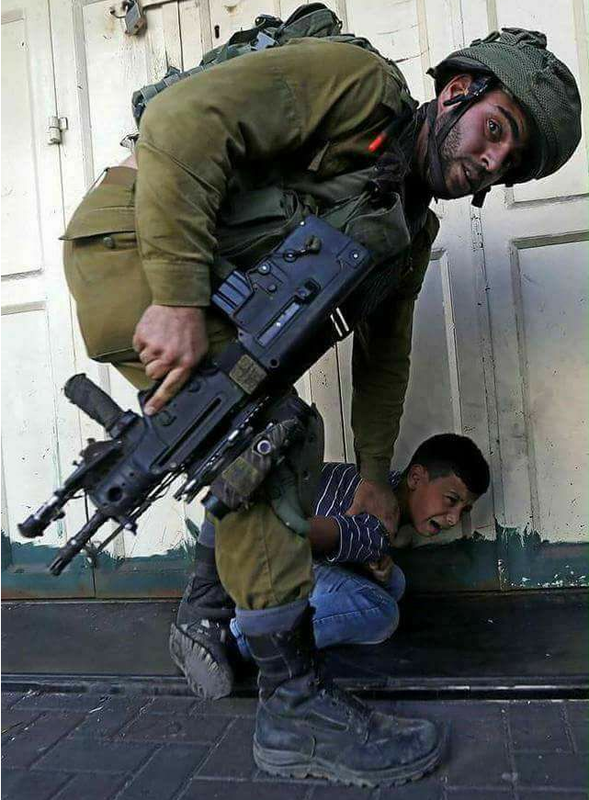 Local sources told the PIC reporter that heavily-armed IOF soldiers assaulted the children and dragged them to an unknown destination. The youngest children were intimidated and screaming along the way, the sources pointed out. 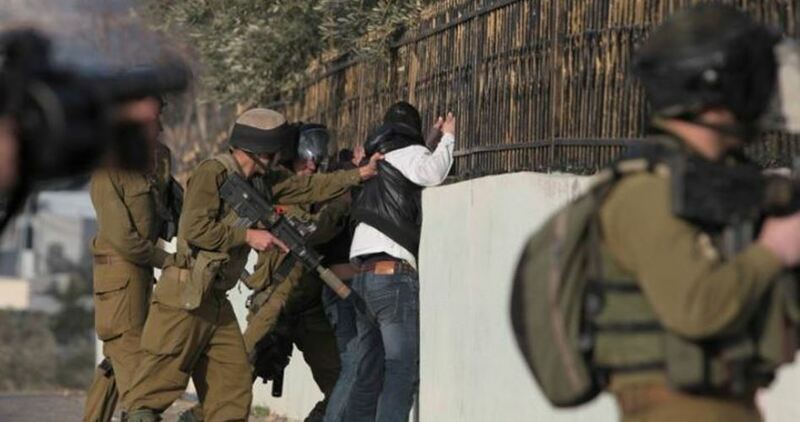 The Israeli occupation forces (IOF) at dawn Friday kidnapped three Palestinian citizens in Jerusalem and the West Bank. Local sources told the Palestinian Information Center (PIC) that Israeli policemen rounded up a Palestinian citizen called Mohamed Abdul-Raouf at the entrance to Issawiya district, north of Occupied Jerusalem. They also added that the Israeli police kidnapped a young man called Abdul-Rahim Issa from his home in Shuafat town, north of Jerusalem. In Ramallah, Israeli soldiers stormed a house in Silwad town and kidnapped a young man identified as Mohamed Hamed. 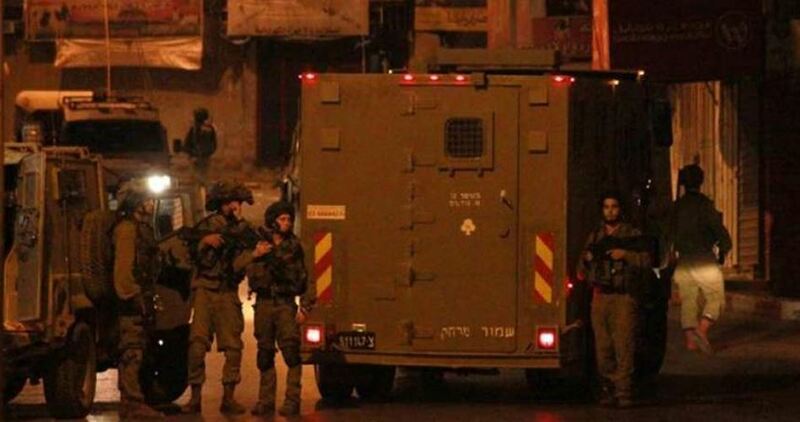 The IOF also raided several homes in Taqua town, east of Bethlehem, without making arrests. A security official in Bethlehem said that Israeli soldiers raided the homes of brothers Asem and Nayef al-Ammour and handed them a notice threatening to take punitive measures against the local residents in Taqua if stone-throwing attacks on Jewish settlers’ cars travelling on nearby roads continued. Israeli police rounded up on Friday morning two Palestinian youths from Beit Dajan town east of Nablus city in the northern West Bank. The young men who were identified as Sameh Hamed and Talal Hamed were arrested while heading to their workplaces in Kafr Kanna city in 1948 Occupied Palestine, according to local sources. Israeli police forces arrested Thursday four Palestinians including two minors, in Taibah city within the Green Line, for being allegedly involved in shooting incident in the city. No casualties were reported during the alleged incident, Maarif Hebrew newspaper said. The four detainees were rounded up and taken for investigation after police forces raided a house in Taibah city. 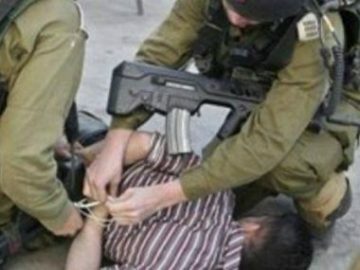 The Israeli occupation forces on Thursday evening kidnapped a Palestinian ex-prisoner from Nablus’s southern town of Madama, in the northern West Bank. 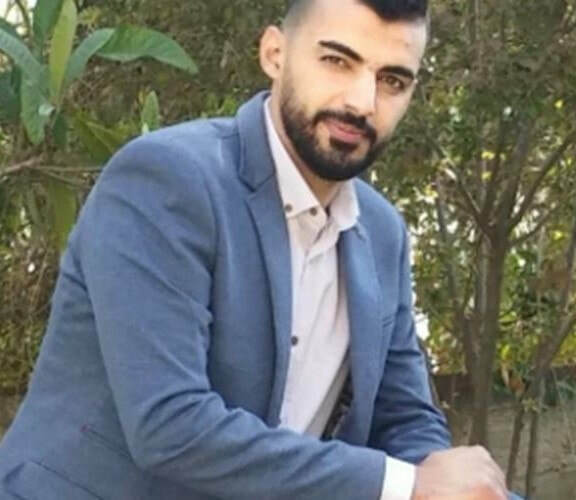 Ex-prisoner Hudheifa Ziyada was kidnapped by the occupation soldiers while driving near a makeshift checkpoint set up in Madama, south of Nablus, on his way back home from Ramallah. The arrestee was released from Israeli jails just six months ago. Israeli soldiers closed, on Thursday evening, Beit Iksa military roadblock, northwest of occupied East Jerusalem, stopped and searched many vehicles, and detained passengers in three buses, mainly women, for several hours. 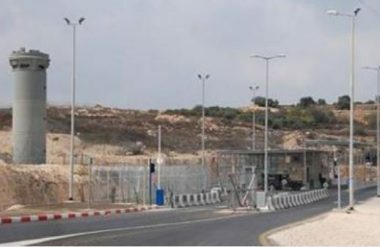 The soldiers, stationed at the permanent military roadblock, on the main entrance of Beit Iksa village, decided to close the roadblock, without providing any reason for this act, and started searching cars and interrogating passengers, while inspecting their ID cards. The soldiers also stopped and searched three buses, loaded with dozens of Palestinians, mainly women and children, and refused to allow them through for several hours. Mohammad Abdul-Aziz Awad, a member of Beit Iksa Local Council, said dozens of Palestinians headed to the roadblock demanding the soldiers to allow the buses through, and to stop the provocative searches, and measures. Awad added that the soldiers frequently try to humiliate the Palestinians, especially young men, and women, and prevent those, who are not from the village, from entering it. He called on legal and human rights groups to intervene and pressure Israel into stopping its illegal measures, and provocative acts, against the villagers. It is worth mentioning that Beit Iksa village is inhabited by approximately 2000 Palestinians. The Israeli occupation authorities delayed the release of Palestinian MP Mohamed Ismail al-Tal under the pretext of Jewish holidays. Lawyer Mahmoud al-Jabareen told al-Tal’s family that their son will be released on Friday instead of Thursday due to underway Jewish celebrations. A couple of weeks earlier, the Ofer court ruled for releasing al-Tal on a bail of 40,000 shekels. 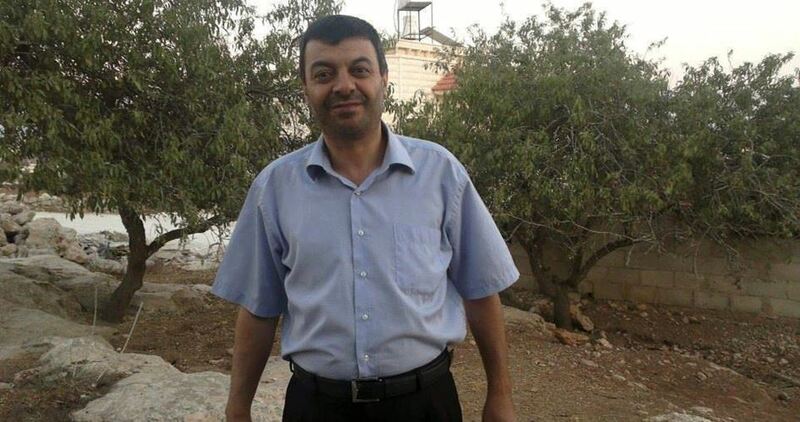 MP al-Tal was kidnapped by the Israeli occupation forces from al-Khalil on February 21, 2017, and sentenced administratively with neither charge nor trial. He underwent a surgery to remove a tumor and parts of his intestines at an Israeli hospital before he was transferred to the Ramla prison clinic and later to the Ofer lock-up. MP al-Tal, member of the Palestinian Legislative Council since 2006, has spent a total of 11 years in Israeli jails. Israeli police announced on Wednesday the arrest of a Palestinian man for allegedly planning to carry out a stabbing attack in Rahat city in the Negev. The police said, in a statement, that the detainee is a 30-year-old man from Tulkarem city in the West Bank. He was rounded up by Israeli forces of the Shin Bet, border police and undercover units. The statement claimed that the Palestinian man was arrested for planning to carry out a stabbing attack. He took out a knife to resist the forces while trying to capture him before being controlled and arrested, the police alleged. The Israeli occupation forces (IOF) at dawn Wednesday kidnapped five Palestinian citizens from their homes in different West Bank areas. 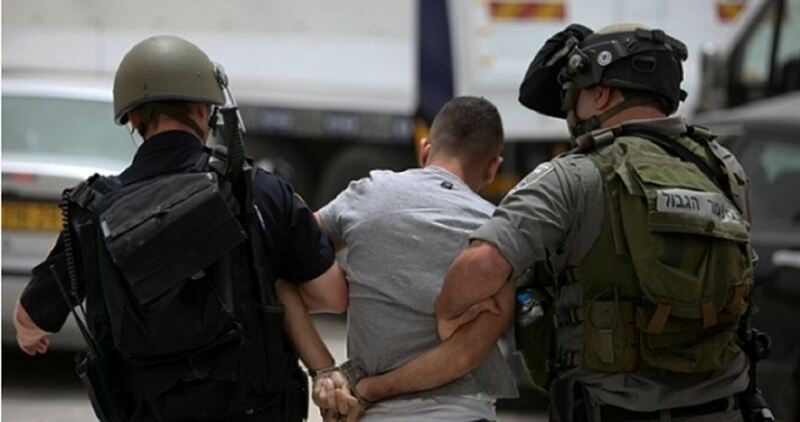 According to a statement released by the Israeli army, five wanted Palestinians were detained over their involvement in activities against Israel in the West Bank. Quds Press, for its part, said that the IOF stormed different areas of the West Bank, especially in Tulkarem, Bethlehem, al-Khalil and Nablus. It added that Israeli soldiers kidnapped a young man in Tulkarem after ransacking his home and commercial store. Local sources told the Palestinian Information Center (PIC) that the IOF raided the house of Anas Naifa, rounded him up, and confiscated telephone devices from his store in Tulkarem. 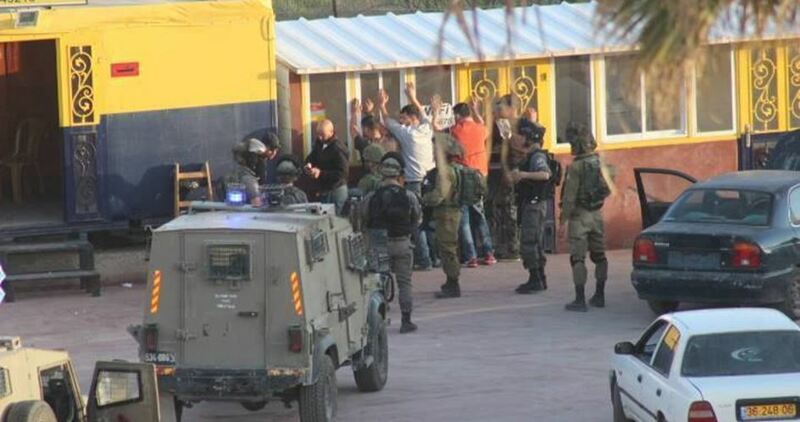 The IOF also stormed and patrolled Ertah suburbs and neighborhoods around the Palestine Technical University in Tulkarem and set up roadblocks, with no reported arrests. The Israeli Occupation Forces (IOF) arrested Tuesday evening a Palestinian young man, from Marda town north of Salfit to the north of West Bank. Local sources identified the detainee as Mohamed Ayash, 20, noting that his lap top and mobile phone were confiscated during his arrest from his family house. Along the same line, IOF erected a make-shift checkpoint at the entrance to Zabouba town west of Jenin. Several vehicles were stopped and searched at the checkpoint, while drivers were investigated.